We sell seasoned hardwood logs, split and then sawn to the length you require for your stove or fireplace. These logs are harvested as part of sustainable management plans to improve the scenic and wildlife conservation value of woodlands in the Peak Park. All our firewood is derived from sustainable and renewable sources, helping to reduce carbon emissions which contribute to global warming. We sell these seasoned logs as a metre cube in bulk builders bags, (such as builders use for sand). Each bag is lowered onto your property as near as I can reverse my trailer. any saw dust stays in the bag. logs do not spill everywhere. you can unload and stack the logs at your convenience. any residue is removed in the bag on my next delivery. We often have off-cuts from either our pointing machine or from when we make cleft pales. We sell these in bulk bags at £30 each. 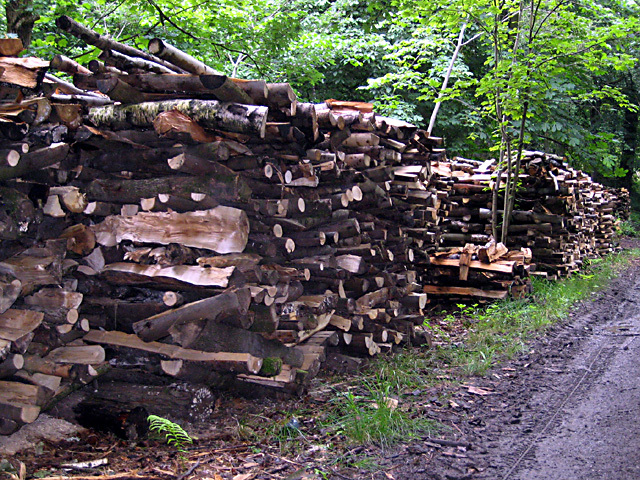 The chestnut off-cuts are random sizes, suitable as kindling material with occasional larger pieces ready for the fire. 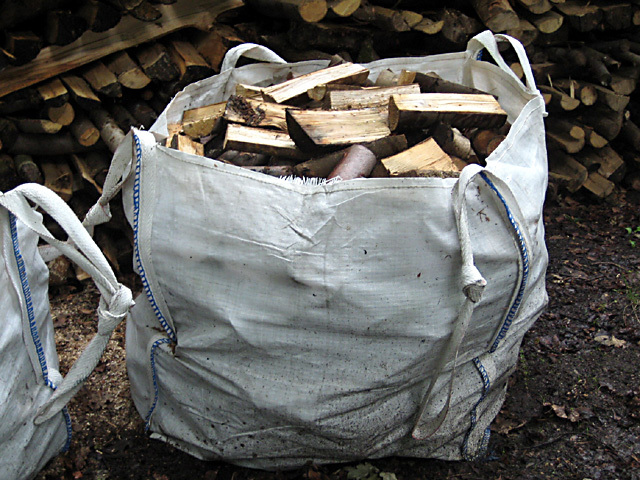 These bags are ideally suitable for someone with storage capacity in an outbuilding or empty garage, where they can be left to fully season and be processed when required. Ideal for a large wood burner or open fire. Collection only with a pick up truck or trailer so we can lower the bags in. Please phone Simon on 07889107008 for more details and availability. £10 for one, £15 for 2 or 3. £15 for one, £20 for 2 or 3.